Yes. This has happened to me before. 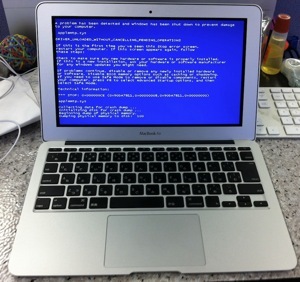 I think it’s funniest thing to see a BSOD on a Mac. The other funny is when you see a BSOD in a VM. Kind of funny anyway. Hopefully its not production.